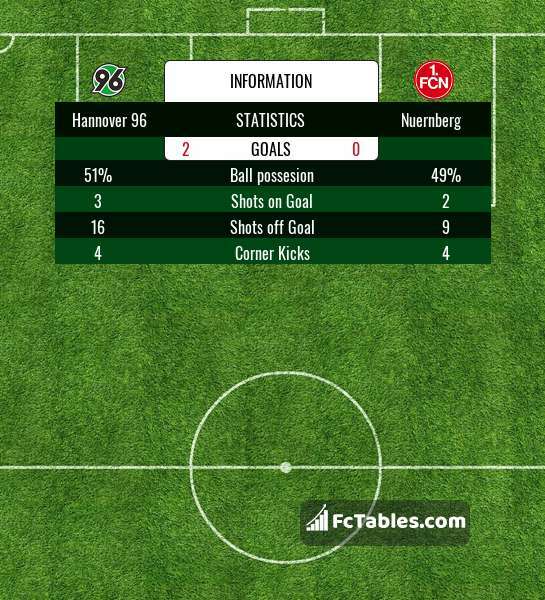 Match Hannover 96-Nuernberg 1. 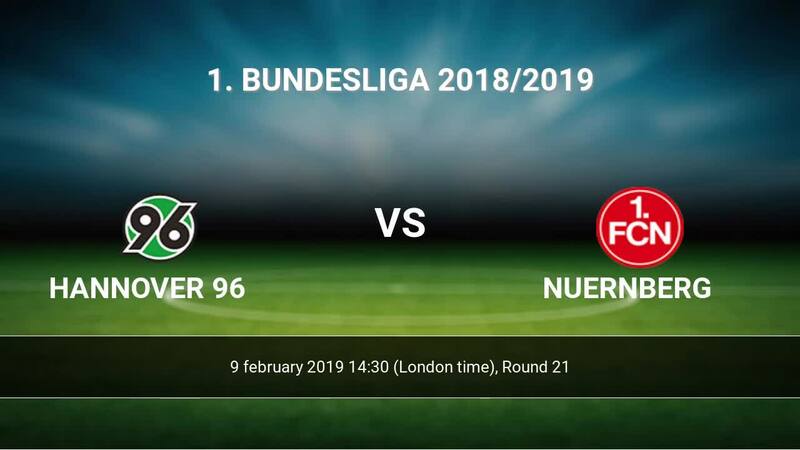 Bundesliga the fixture is set to kick-off today 14:30 on HDI-Arena. Refereee Tobias Welz. Team Hannover 96 is in the releagtion zone of the table. 18 position. In 5 last matches (league + cup) team gain 1 points. Hannover 96 from 9 matches can not beat any rival. 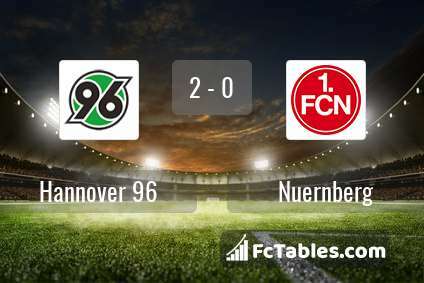 To defend Nuernberg the most demanding players will be Ihlas Bebou 3 goals, Bobby Shou Wood 3 goals, Hendrik Weydandt 3 goals, because this season they scored the most goals for Hannover 96 of the entire composition. Most goals developed: Ihlas Bebou 3 assists, Bobby Shou Wood 1 assists. Injuries in the team Hannover 96: Edgar Prib, Ihlas Bebou, Timo Huebers, Niclas Fuellkrug, Linton Maina. The match will not occur Pirmin Schwegler because they are suspended (cards, etc.). Team Nuernberg is in the releagtion zone of the table. 17 position. In 5 last matches (league + cup) team gain 1 points. From 14 matches can't win a match. The best players Nuernberg in 1. Bundesliga, who scored the most goals for the club: Hanno Behrens 3 goals, Mikael Ishak 3 goals, Adam Zrelak 2 goals. Players with the most assists: Hanno Behrens 1 assists, Mikael Ishak 1 assists, Adam Zrelak 1 assists. Injured players Nuernberg: Kevin Goden, Ivo Ilicevic, Georg Margreitter, Dennis Lippert. Ondrej Petrak. They will not be able to play in the game due to suspension. Direct matches: usually ended with winning of Hannover 96. 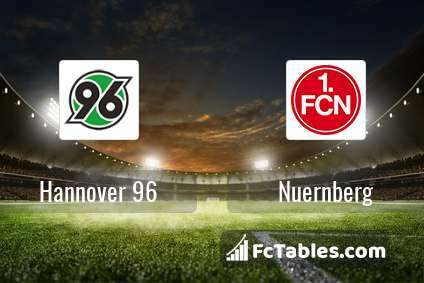 Balace of both teams games are: 10 won Hannover 96, 9 wins Nuernberg, 8 draws. In 15 matches the sum of the goals both teams was greater than 2.5 (Over 2.5). On the other hand, 23 matches teams scored more than 1.5 goals (Over 1.5). In 18 matches the both teams have shot at least one goal.